Yanira Saldana often helped her mom clean other people’s homes when she was growing up — and they were a stark contrast to her own. 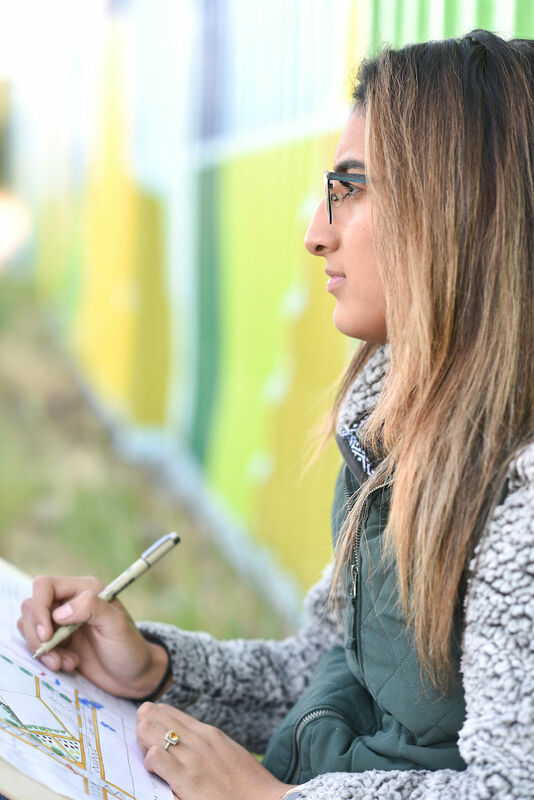 Saldana, a junior in the University of Idaho’s College of Art and Architecture, grew up in a mobile home in one of Garden City’s low-income neighborhoods. The glimpses she got of more affluent areas made her consider the power of design — in particular, the way physical spaces impact a person’s perspective and behaviors. At home, Saldana began moving around her parents’ furniture, experimenting with the effects different layouts had on her environment. She was watching many in her peer group drop out of school, start families at a young age and battle drug abuse. Saldana was intent on a different path, which meant maintaining a different outlook. She thought her physical environment could help. When redistricting lines allowed her to attend a newly built junior high school when she was a teenager — instead of the older one her peer group attended — Saldana got another glimpse into a disparate world. Witnesses to the affordable housing crisis in the U.S., Saldana’s parents sacrificed a better quality home, and the associated mortgage, for money to put their kids through college. According to the National Low Income Housing Coalition, there are an average of 35 affordable and available housing options for every 100 extremely low-income renter households. Saldana’s hometown of Garden City, part of the Boise metro area, is no stranger to that crisis. Saldana wants to find a solution to this problem. Originally from an impoverished part of central Mexico — where Saldana said they’ve just begun building roads — her parents made their living raising cattle and pigs. Neither attained a high school diploma. Upon moving to the U.S. when Saldana was 2, Saldana’s mom became a housekeeper and her dad found work as a carpenter. They insisted that she and her siblings pursue college. When Saldana began researching colleges, she figured she’d stay in Boise. Architecture interested her, but it wasn’t a degree offered in the area. She set her sights on marketing because the field still focused on elements of design, which would allow her to affect people in a positive manner. Most importantly, living at home would allow Saldana’s family to save money on room and board. Then Saldana got word that U of I was starting an architecture program in Boise for first- and second-year students. She’d already applied to U of I on a whim, expressed interest in design and was accepted. That path, however, seemed like a pipe dream. In fall 2017, Saldana joined four other students to become the first group to go through U of I Boise’s architecture program. Operating out of the Urban Design Center (UDC) downtown — which is the hub for the College of Art and Architecture’s Boise-based master’s programs in architecture, landscape architecture, bioregional planning, and integrated architecture and design — students can take the first two years of architecture classes at the UDC and then transfer to the Moscow campus. For Saldana, this sealed the deal. Saldana spent the first year studying the basics under Dwaine Carver, an affiliate associate professor of architecture. Carver, who witnessed the program’s enrollment quadruple to 16 students in fall 2018, echoed Saldana. After completing her first year, Saldana caught wind of the college’s BootCamp program on U of I’s Moscow campus. The program started in 2013 to give advanced standing to transfer students from other institutions, internal transfers changing course from a different degree track, students with associate degrees from community colleges and bachelor’s degree holders from non-design disciplines. Other students, like Saldana, are admitted on a case-by-case basis. During an intensive eight-week summer session, students take 10 credits worth of courses. For Saldana, who has taken a year of coursework in Boise and just finished BootCamp, this means she bypassed her entire sophomore year. Now a junior, Saldana is acclimating to life in Moscow. 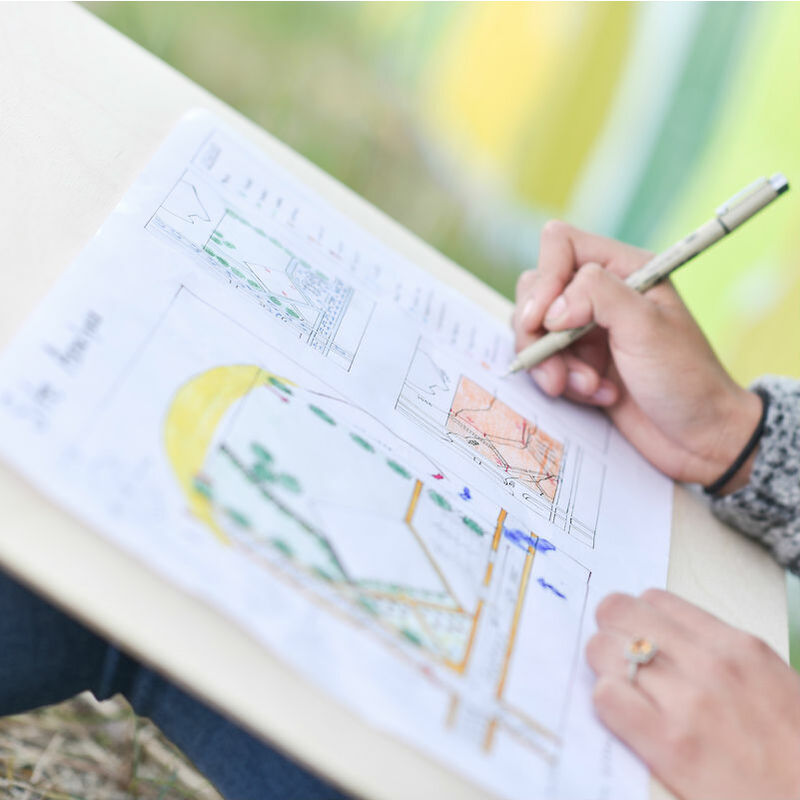 She’s also learning the value of doing site analyses for potential buildings — a project BootCamp students took on when drawing a conceptual design for a campus art gallery. 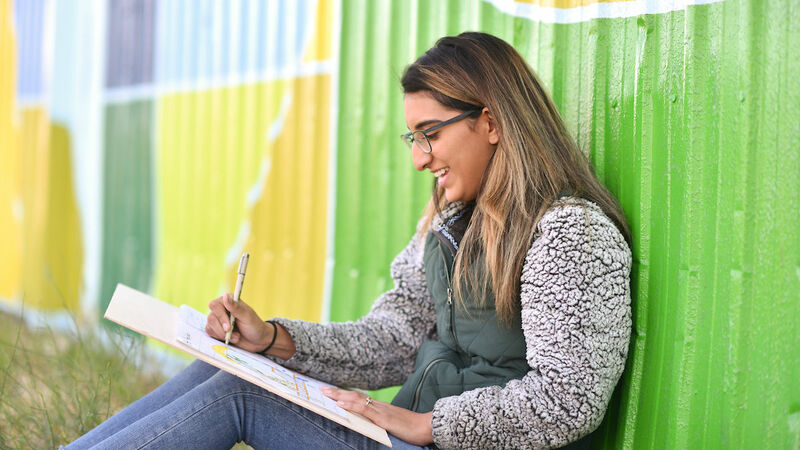 “Doing a site analysis really helped me realize that as an architect, you have to go into the community and get to know people’s needs and what design will best impact them,” Saldana said. It’s this positive impact Saldana wants to someday make in her own community — after pursuing her master’s degree.